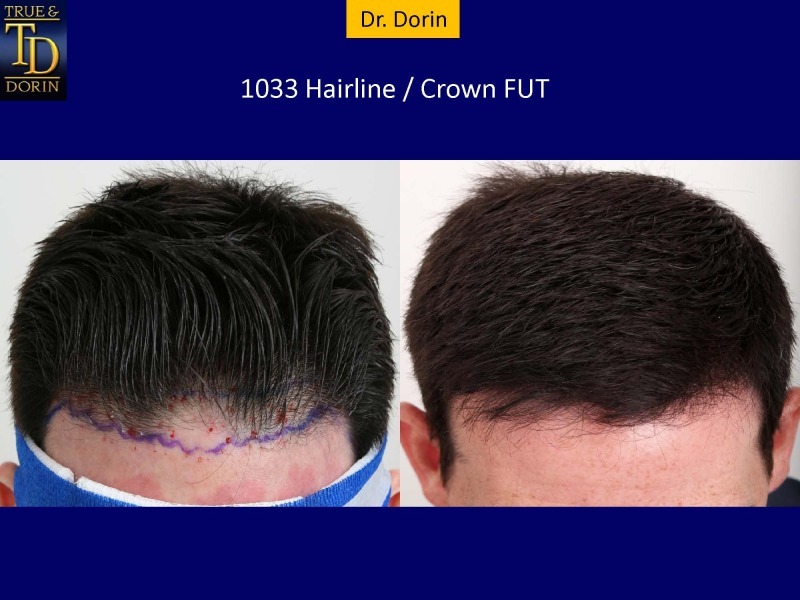 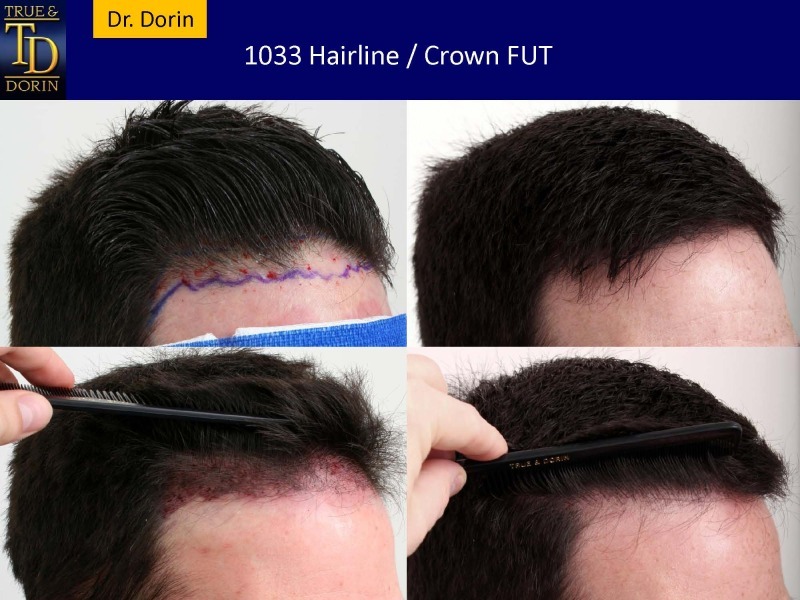 This follicular unit hair transplant session was performed by Dr. Dorin to rebuild, re-shape what was an eroding hairline for this patient as well as enhance crown density and contour. 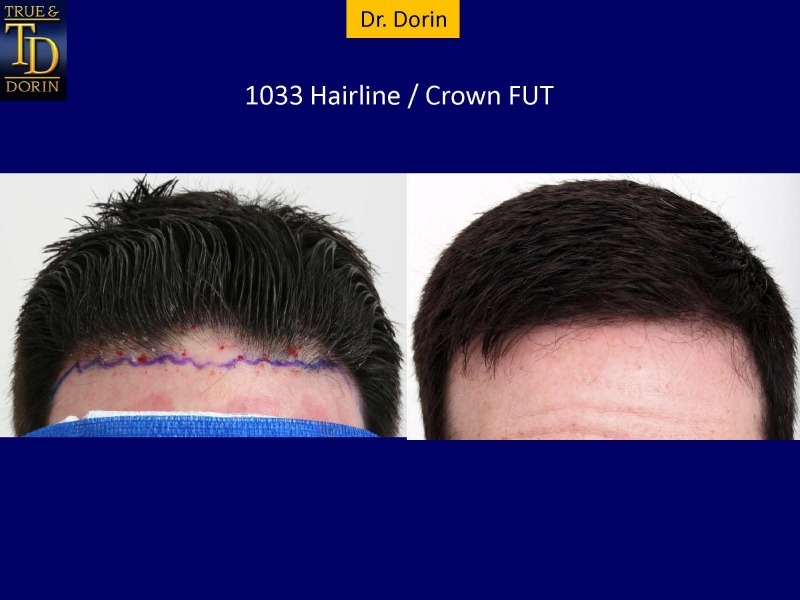 1033 grafts were transplanted, consisting of 411 singles, 473 doubles, 149 threes - a total of 1894 hairs. 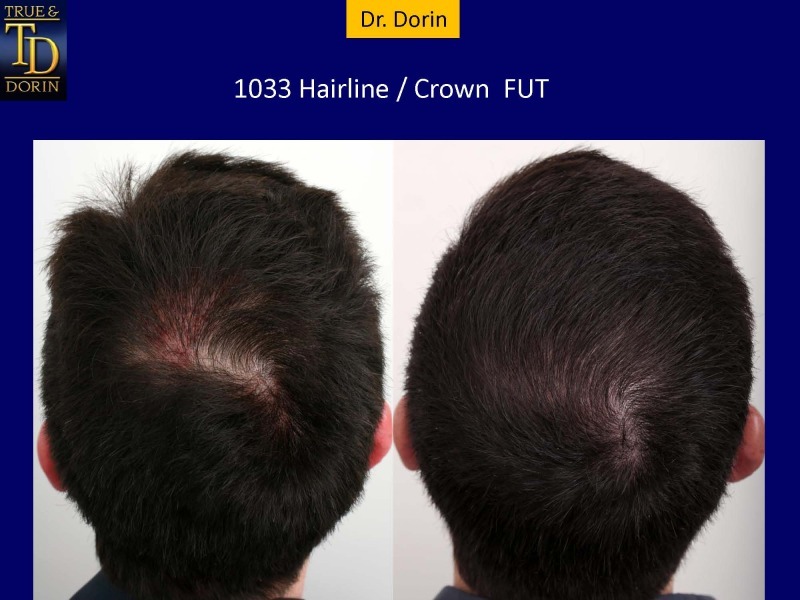 This result is after 14 months.